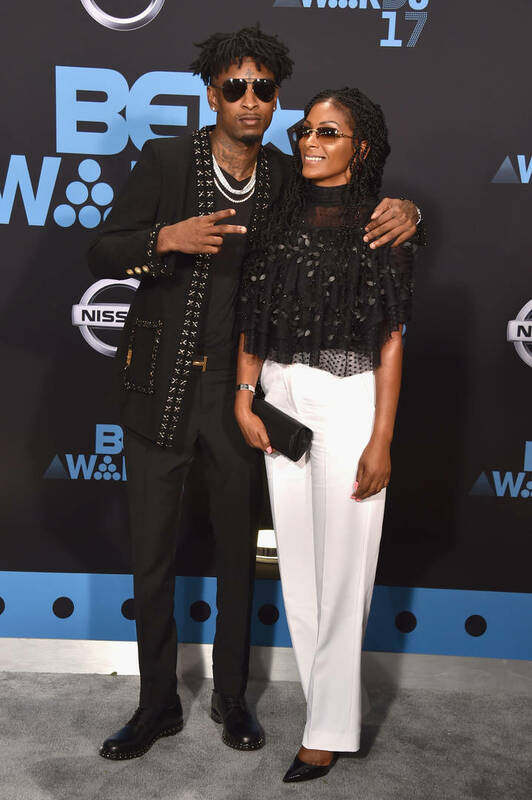 21 Savage’s mother wanted to walk the red carpet at the Grammys on his behalf since he’s currently in ICE’s custody, However, officials may have placed a ban on her and the rapper’s team to appear on the carpet. According to The Blast, 21’s mother wanted to attend the Grammys but when it came time to pick up the tickets and red carpet credentials, she was told the rapper would have to do it himself. She flew down from ATL to L.A.to pick them up and explained 21’s highly publicized situation. Grammy officials ultimately released her the tickets but only after the red carpet wrapped up and the show was about to begin. His team believes this was was a politically motivated strategy to prevent them from protesting 21 Savage’s detainment. Rumor has it that the Grammy officials caught wind that there would be mention of the rapper’s situation. His family, team and fellow artists were reportedly planning to walk to record carpet with documented immigrants to show support for 21. His team believes the Grammys heard of these plans and then strategically denied them access to the Red Carpet to avoid a scene. Rose McGowan Tells Asia Argento To "Be The Person You Wish Harvey Could Have Been"
Previous story Gunna Releases "Speed It Up" Ahead Of "Drip Or Drown 2"